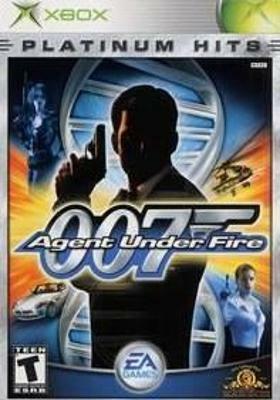 Xbox James Bond 007 in Agent Under Fire - Platinum hits! James Bond 007 in Agent Under Fire (Microsoft Xbox) Platinum Hits Complete Mint! 007: Agent Under Fire (Platinum Hits) Complete! (Original Microsoft Xbox) Rare!